Platform and ecosystem research generally uses two founding texts as a reference point for the modern ecosystem. There is James F Moore’s work beginning with his 1993 Harvard Business Review article “Predators and Prey: A New Ecology of Competition”. Here’s a link to Moore’s later work on ecosystems in developing countries. And there’s Iansiti and Levien’s Keystone Advantage. An economic community supported by a foundation of interacting organizations and individuals—the organisms of the business world. The economic community produces goods and services of value to customers, who are themselves members of the ecosystem. The member organisms also include suppliers, lead producers, competitors, and other stakeholders. Over time, they coevolve their capabilities and roles, and tend to align themselves with the directions set by one or more central companies. Why do I think it is wrong? The interaction between platform owner and ecosystem is highly variable. Those variations are an important source of learning (more of that in a minute). But secondly the modern ecosystem is typically not so collaborative or collective or controlled. In modern ecosystems companies for sure co-produce; there is a co-productive element. But many of the co-producers will be wasting their resources. they are by no means efficient co-producers. Many, if not most, of the developers in Apple’s ecosystems are earning very little from what they have produced. But it is the relationship between platform and ecosystem that exhibits a huge amount of variety and as yet we have not explored that area. Here’s an example of what I think of as the first truly modern, platform and ecosystem model (prior to this we saw lots of community ecosystems as in the Italian clothing and footwear industrial clusters or districts, so “ecosystems” were hardly new even when Moore wrote about them). In the early 2000s when Google began to emerge as a strong contender in search engines there was still a wide choice for consumers. The available search engines included Alta Vista, Yahoo, Northern Light, Dogpile, Lycos, HotBot, Excite, Ask Jeeves, Infoseek, MSN search and crucially Allthweb. Althweb competed pretty well with Google on information coverage ad relevance. In fact there was nothing much to choose between the two nor, come to that, between them and Alta Vista. Google did not win this battle because of superior search technology -search is something of a commodity. What they did do very well was to win the argument around relevance And they won it because they were able to gamify the web. In the mid 2000s the big issue online was how to guarantee search “relevance” – a related, secondary issue being how do you monetize it? 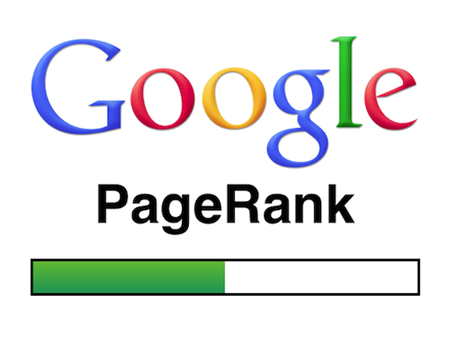 Google introduced Page Rank. Page Rank gave points to web pages based on the number of links it had (and over time refined its ability to identify the number of links from sites with related content). This gave a kind of peer vote to web pages that Google used as a proxy for relevance. Google’s innovation was, in a sense, to make the game harder but still achievable. Page Rank would be manipulated but it took considerable investment to build high quality in-bound links. That led to the rapid expansion of the SEO industry – or search engine optimization. SEO companies offered to create link-building programs for companies so that they would show up on the Google front page search results for particular terms. Link-building became the “relevance-game”. Over time it evolved deeper into content because Google also used uniformity between a content’s URL, headline and terms used in the first paragraph. That meant SEO companies could offer more sophisticated content optimization services. Far from offering a guarantee of relevance, Page Rank create a world-wide game and in doing so mystified elements of search that SEO companies could then exploit. A huge but unmeasured industry grew up around Google and as in many cases of ecosystem evolution became global advocates of Google’s search engine and relevance. Going on still further Google has introduced more (undisclosed) content indicators to signal relevance, moved in to search returns personalization and incorporated social signals. All these have reduced the relevance of Page Rank but have increased the complexity of earning “good points” or higher rankings (with ranking itself becoming less relevant). Today it takes an extremely sophisticated online player to game up a site. SEO services are probably worth around $20 billion annually around the globe, based on projecting the UK market (worth £500 million). SEO platforms that integrate Google, Twitter and Facebook is an industry worth $1.6 billion in 2016 according to Forrester. Whichever way you cut it though this is a platform and ecosystem play, and it is different from what we have seen before – competitive not collaborative, mutually dependent, an effective.